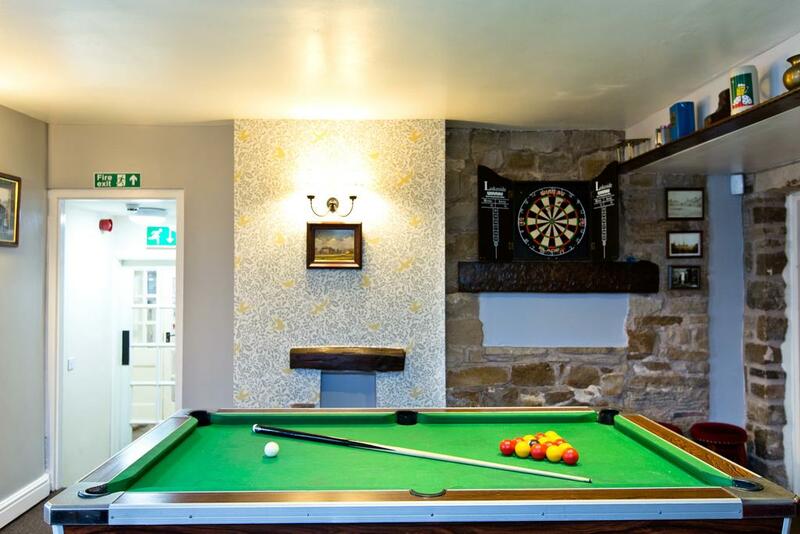 We’ve converted an historic pub into an exclusive self-catering venue which offers a very different atmosphere than the usual hotel stay for your business meeting, team building, or strategy day. We’ve hosted over 250 corporate events at our 2 properties over the years including many blue chip clients. We’re delighted to say that the feedback we get is fabulous, indeed very many of our corporate clients have returned regularly over the years, so we like to think we’re doing something right. Conveniently located in the heart of England we are an hour’s drive from Manchester airport, 30 minutes from Macclesfield (direct trains from London), or 40 minutes from Stoke-on-Trent. 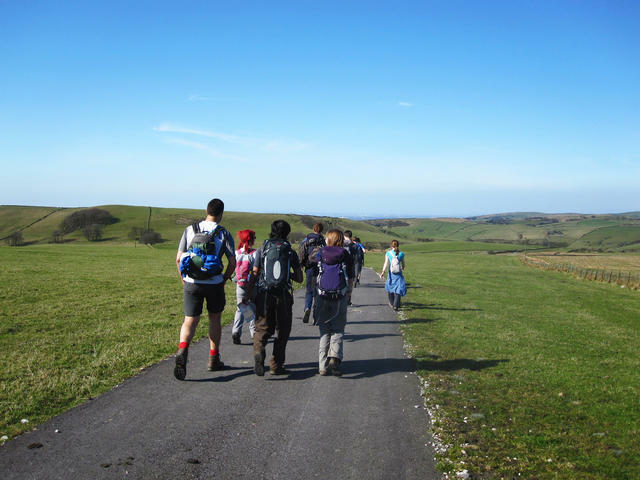 The property is exclusively yours and very much secluded with the nearest habitation a farm a mile away – so the team will not be distracted. ​On the adjacent map, The Mermaid Inn is the bottom of the two markers. The other marker indicates our other property, Quarnford Lodge, which has 10 en suite rooms and can be hired separately or in conjunction with The Mermaid Inn. 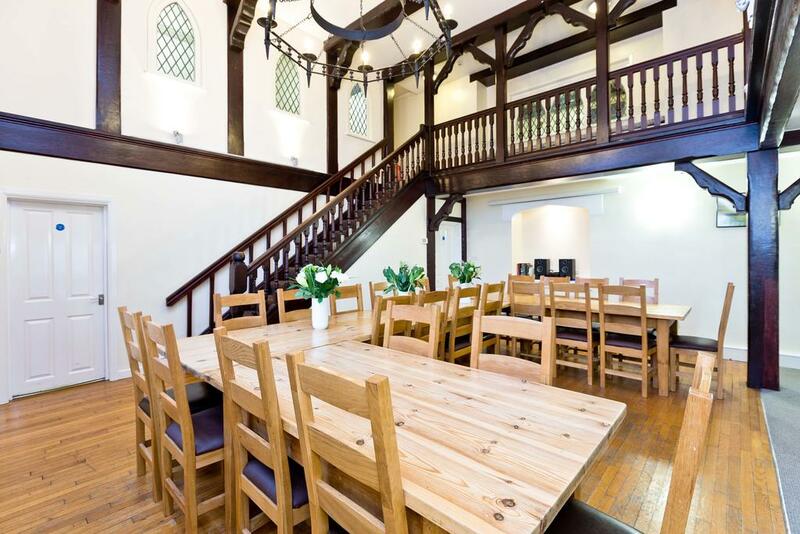 We have a large meeting / dining room that can seat up to 34 around a single table on comfortable chairs. We have a further 3 breakout areas (with comfortable leather sofas and HDMI TVs) for smaller groups to convene away from the main meeting area, not to mention the old pub area to get those creative juices flowing. 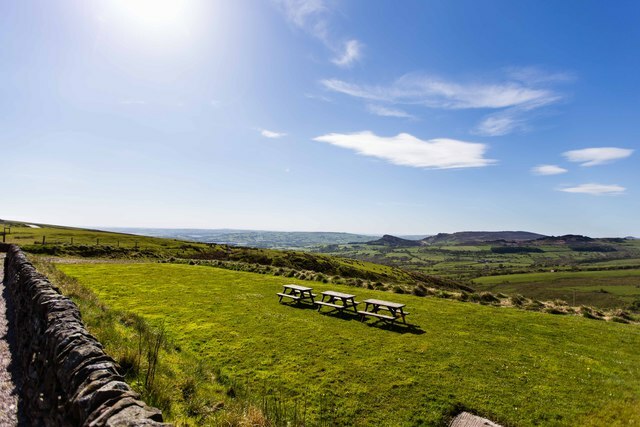 In addition there is the garden area with picnic benches for when the sun is shining. 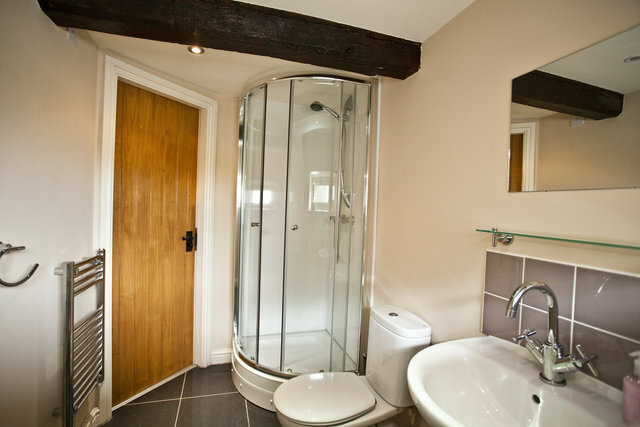 We have 13 bedrooms, all of which are en suite. 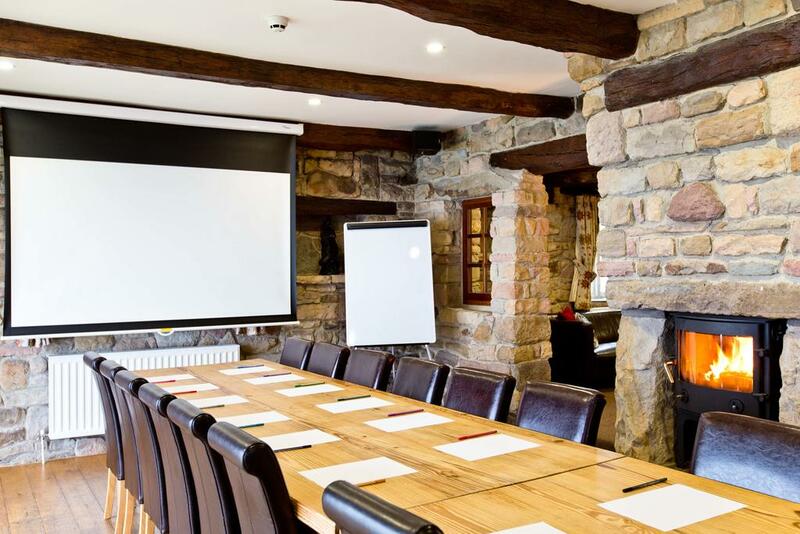 The accommodation is flexible meaning that we can accommodate up to 34 delegates if utilising all single bed spaces (all bedrooms can be set up as twins, and we have 4 quad rooms). If more bedrooms are required see details below regarding the use of our other nearby venue. The property is a self-catering venue, and indeed we find many groups enjoy the experience of taking it in turns to cater for the rest of the group. Deliveries can be easily arranged from Tesco, Sainsbury’s, ASDA, and Waitrose. 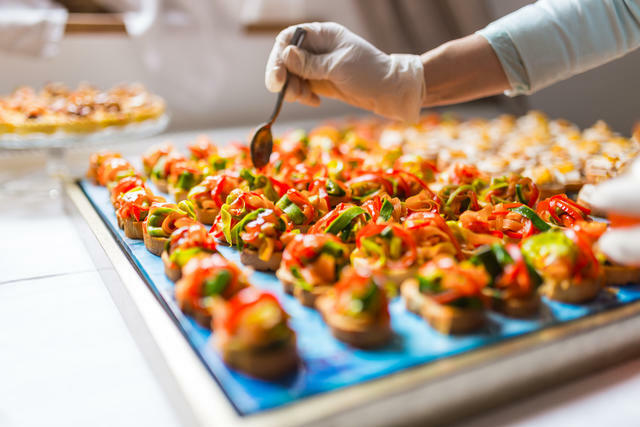 For less of a “hands-on” approach externally catered options include simple “drop offs” of pre-cooked meals / sandwiches, through to provision of chef and waiters – we can provide recommendations of tried and tested caterers. 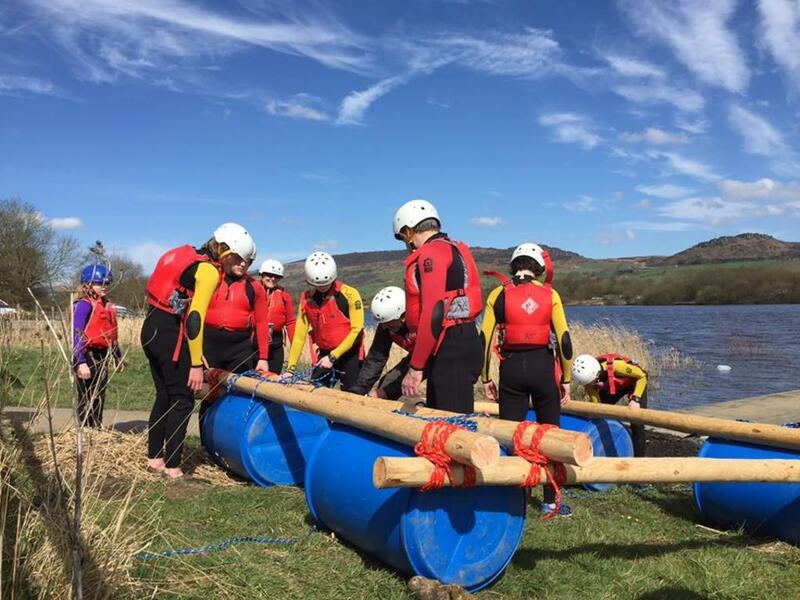 ​Bring in the experts to run your teambuilding activities with options covering the full range outdoor and indoor events, bespoke events, evening entertainment and themed events. Within the house many previous corporate clients have enjoyed conducting their own “Come Dine with Me” experience when the group split into teams and for each group take responsibility for cooking either starters / mains / desserts - the output being a great bonding experience and a home cooked evening meal. Simpler still is a “pub games” night when groups compete against each other in a medley of pool, table football, darts, Karaoke (for some memorable duets), and organise their own pub quiz. 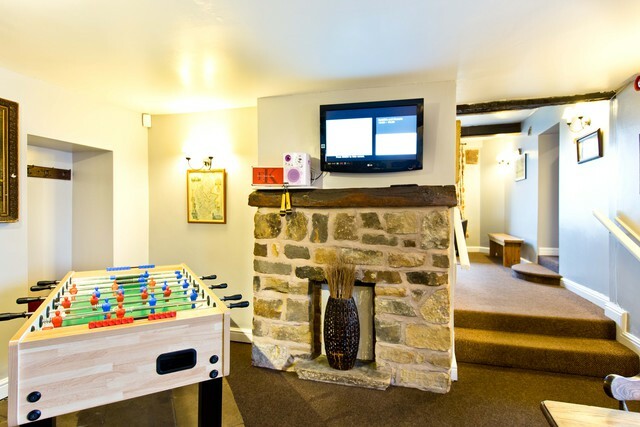 For slightly smaller venue (10 en suite rooms & sleeps up to 26) please see our other property (link to Quarnford Lodge). If there is a requirement for single room occupancy both venues can be booked in conjunction with each other (making maximum occupancy 23) and given the 2 properties are less than 10 minutes’ drive apart the team can get together with ease each morning.